Welcome to the Wisdom of Golden Qi. Our name comes from Golden, meaning prosperous, flourishing, and Qi (chee) which in Chinese means vital energy, air, or breath. Golden Qi is Tai Chi for people who cannot stand to exercise. “Tai chi does not mean oriental wisdom or something exotic. It is the wisdom of your own senses, your own mind and body together as one process.” ~ Grandmaster Huang. With Golden Qi, we unite the senses, mind, and body in a fun and energizing exercise. The simple beginnings of what was to evolve into the Golden Qi program started in 2006 from the actual self-experience in both learning and teaching the traditional forms of Tai Qi (Chi) at Tama Martial Arts Center. Tama has been teaching the Chinese internal martial art of Q iGong and Tai Qi (Chi) for the last 40 years in the Greater Dayton Miami Valley area. 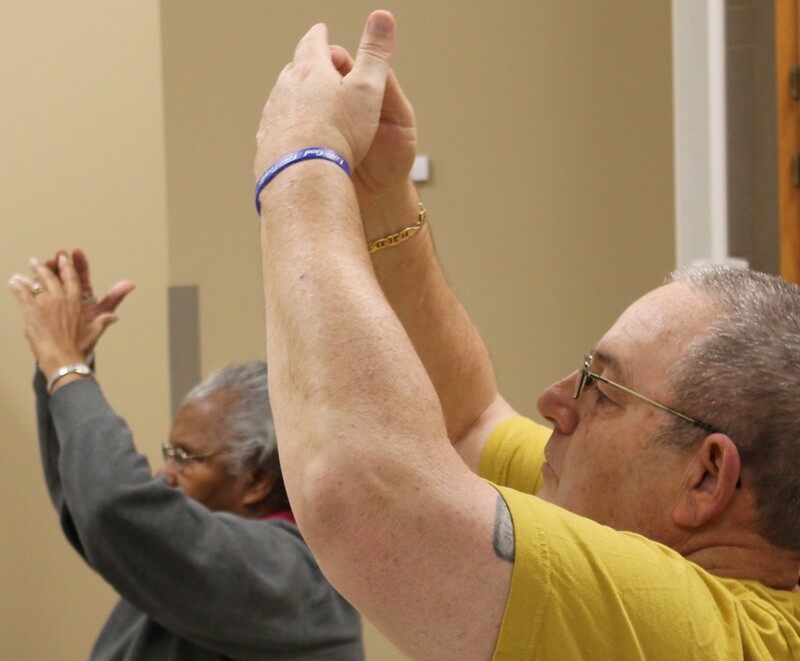 It recognized a need to provide beneficial exercises for people who cannot exercise while standing such as people in wheelchairs, with balance issues, in physical rehabilitation, or people who just have not exercised in a long time. 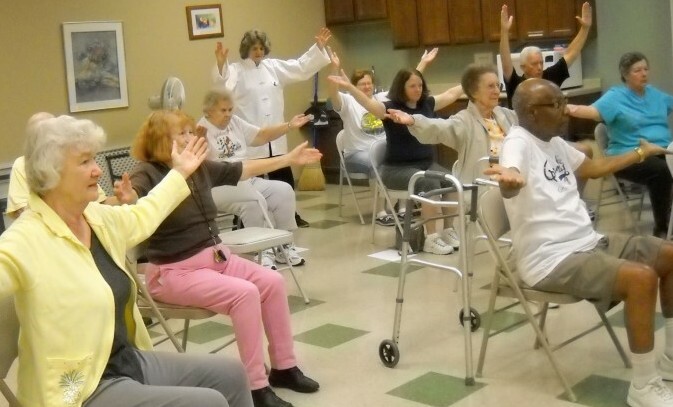 Golden Qi has incorporated forms from several Tai Chi disciplines and is used in Senior Centers and Assisted Living Facilities. TAMA recognized that there are many people who would benefit from Golden Qi, and that it would be impossible for one martial arts center to reach all of these people. The Golden Qi program at TAMA trains Golden Qi instructors, through a series of eight hour seminars, to led Golden Qi classes at their facilities. In this way, Golden Qi can benefit the larger population of people in need. The Golden Qi training does not rise to the rigor of certifying a martial arts instructor and therefore, through practical knowledge and practice at our seminars, participants will receive a certificate of completion and the capability to lead a Golden Qi class at their facility. The Golden Qi training does not rise to the rigor of certifying a martial arts instructor and therefore, through practical knowledge and practice at our seminars, participants will receive a certificate of completion and the capability to lead a Golden Qi class at their facility.